Tax preparation for small businesses takes time and attention to details. Small businesses have to be knowledgeable about their own yearly finances such as income and expenses throughout the year. For those who do their own business taxes, they must keep up with the latest tax laws and changes that might affect their tax filings for the year's end. The type of business owned also great influences how taxes are filed by a small business owner. For instance, sole proprietors (often these are home-based businesses) must file personal tax forms in addition to a Schedule C for business-related expenses. On the other hand, there are different forms for those small businesses that are declared as Limited Liability Corporations (LLC) and Corporations (Inc). It is wise to consult with a business tax preparation consultant to setup the taxes for the business and either do the taxes for you or train you or your staff on how to complete annual tax with the least amount of headaches. 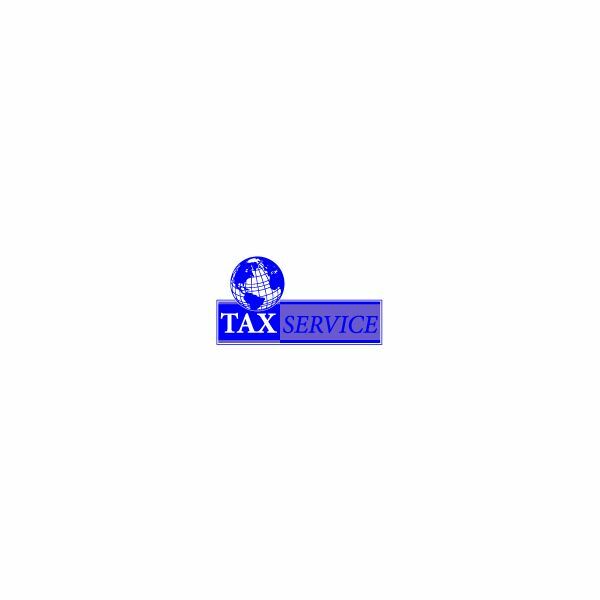 Using an online tax service can definitely be a beneficial way to complete the laborious task of tax preparation but getting professional advice on the subject is always a good idea. This software is available in Free, Deluxe, Premier Home & Business and Business editions. The Free version is for very simple personal tax filing while the Home & Business and Business editions are more appropriate for small business use. Intuit recommends the $99 Home & Business version (federal & state) for self-employed, freelancers, single-owner LLCs and sole proprietors. For S and C corporations, multiple-owner LLCs and partnerships, the $129 Business version (federal, state taxes additional charge) is more appropriate. There are some key advantages with TurboTax, other than its extremely user-friendly interface. Each version of the software has an easy guide feature with step-by-step walkthroughs for first-timers to TurboTax. Also, the software can collect all of your businesses tax information such as bank account statements, W-2 and other financial information from institutions. The software will gather the data and insert it into the tax forms automatically speeding up the filing process. Once the forms are prepared in TurboTax, they can be uploaded and filed electronically. TurboTax promises a turnaround within 8 to 15 days through a reloadable TurboTax Refund Card. State tax refunds vary by state. While the Premium Edition covers freelancers and sole proprietorships, the Premium and Business Edition covers all corporations, LLCs, partnerships and non-profits. Tax Cut is user-friendly with walk-through screens to assist in filing forms and review screens before filing. They also offer free e-filing options for the quickest returns. Their paper filing with federal and state return are free for one form and additional charges ($39.95) for extra forms and schedules. Tax Cut contains all of the standard features in tax preparation that TurboTax has except for user help forums and comparison of past tax preparation forms. Tax Cut does have an audit defense feature, which means that the company will defend the tax returns to the IRS in case of audit. This is only to the extent of any errors made by the company in filing the tax return. In addition, the company provides for Audit Support that explains why you are audited and how to prepare for it. Tax Act software is a bit pricey once you add up all of the forms you may need for your business. The software used easy interview style wizards to collect the information and enter it automatically into the forms. You can download the software for the different forms directly from the website to avoid delay. The different forms when downloaded will automatically integrate into each other so just clicking a button will activate one form inside of the other. Although the features are easy, there is no live chat for help and no audit defense when auditing. Cost. How much money can be spent on online tax preparation ? Most companies will charge fees based on the size of the company, what range of tax services are needed and how complex the companies finances are. Accounting expertise. If you have a finance or accounting background, then you may have more options in the software that you choose. If you have access to accounting or bookkeeping staff, either inside or outside the company; then the level of support needed from the online service may be minimal. Available online support. Most companies have extensive software support in the form of email, phone and website. Choose companies that give a variety of options for support; have live phone support and can offer unlimited help without charging a fee. Completing your taxes can be stressful whether the taxes are personal or professional. For many who own small businesses and are wearing many hats, doing taxes is yet another task that can contribute to the stress of running a business. Although not fun, there are some things that you can do to make your business' tax time more manageable. Be organized during the year. Keep good documentation such as major business purchases, receipts, monthly income and expense reports is essential to successful completing your taxes. For example, if you are a sole proprietorship, completing a Schedule C requires extremely detailed and itemized records of your business' purchases and debts. Start early to beat the deadlines. Don't wait until the last minute to do your business taxes. Delaying or not completing your taxes accurately can result in audits, penalties and late charges. All of these things affect your bottom line profit for your business. Ask for help with your taxes when needed. If you can afford to, have a personal assistant come in and help you. Also, consider hiring a professional accountant to complete your taxes online when the time comes. An assistant an d/or accountant can really help you get on track and take the stress of during tax time. Budget in their fees towards the beginning of tax time.